Dr. Wilhelm Quedlin didn’t know it, but today, the course of his life was about to change. Q, as his family and friends called him, was on his way to work on this sunny October morning in 1932. Oranienburg was lovely this time of year, with trees flaming their fall colors along the banks of the Havel river. Strolling through the gates of Auer-Gesellschaft, he quickly headed to his labs. Then stopped. The door to his office stood open, which was peculiar, but he entered nonetheless. He stopped just inside, surprise freezing him in his tracks. Two police officers were waiting for him. He recovered quickly and removed his hat, nodding to the men congenially as he placed it on the rack. “Good day, gentlemen. What can I do for you?” he asked, trying to mask his surprise and worry with a polite welcome. An unexpected visit from the police was almost never a good thing. The political climate in Germany had grown increasingly tense, and everyone knew it was much better to keep a low profile these days. “Doctor Quedlin, we need you to accompany us down to the police station,” the older officer said, unashamedly eying Q with blank, dark eyes. “Is there a problem?” Q asked, trying to remain calm even as his mind raced to identify anything he could have done wrong. And who might have been around to witness his error and report it. Telling on one’s fellow man was no longer taboo like before, but actually encouraged by the government. “You need to come with us now,” the older officer repeated, stepping forward, his expression brooking no argument. Q nodded and retrieved his hat from the rack he’d just hung it on. “Of course, officer.” He stepped out of the office, keeping his eyes straight ahead and his hands in his pockets as he walked from the building, followed by the two police officers. On his way out, the eyes of his fellow workers watched him surreptitiously. Of course, they wanted to know what was going on, but without drawing attention to themselves, lest the police decided they too needed to be questioned. The policemen ushered him from the building, past a seemingly perplexed gatekeeper and placed him in the back seat of a black DKW2. The motorized vehicle took off just as soon as everyone was inside. Q was squeezed between two officers, the seating very tight and uncomfortable from his point of view, but then again, the police were rarely concerned with anyone’s comfort. He looked straight ahead, seeing the people hurrying along the streets, turning their heads to avoid the passing police automobile. No one seemed to even notice the beautiful sunny autumn day. Their minds were focused on getting to their destination and minding their own business. Even in his current predicament, or maybe because of it, he thought it sad that most people didn’t share so much as a passing smile or warm greeting to the people they encountered along the street. Unlike the police officers currently riding in the vehicle with him, those men wore all black uniforms. Their caps were adorned with the Totenkopf skull and bones symbol, indicating they were loyal followers of the National Socialist German Worker’s Party. The late July elections had seen many parliament seats go to both the Nazis and the Communists, and political unrest was growing stronger with each passing day. Q sighed inwardly as he pondered on the reasons for the growing tensions. With the crash of the United States Stock Market three years earlier, and the tremendous financial burden placed upon the German people by the Versailles Treaty to make reparations for Germany’s actions in the Great War, the economy and people were suffering greatly. Banks had collapsed, factories and entire industries were in jeopardy of closing, and people were ripe for some sort of change. This was evidenced when Adolf Hitler’s Nazi party won an overwhelming thirty-seven percent of the popular vote in the most recent election. Q looked at the younger police officer sitting next to him and asked, “Can you tell me what the problem is?” He understood very well that people didn’t get taken to the police station for a minor transgression and wanted to know what he was facing. Q bit his tongue so that he wouldn’t make a pointed remark and incite the rude policeman any further. The trickle of fear he’d felt since seeing the police officers in his office had increased during the automobile ride. It now crept up his spine and made his neck hair stand on end. Finally, the police vehicle stopped in front of the three story brick building, and he was ushered into the station that had most definitely seen better days. The wooden furniture was worn and very sparse. Only two wooden chairs stood against the far wall, the only accommodations being made for visitors, of which Q was almost positive were few and far between. The climate didn’t allow for people to bring themselves to the police station unless the circumstances were dire and no other options existed. He lowered his eyes and noticed the dirty and cracked tiles on the floor, which fit perfectly into the threatening and tense atmosphere of the entire place. Q’s fear escalated, but he did his best to regulate his breathing and stay calm. Do not let them sense your fear. You’ve done nothing wrong. Remember that. “Of course. Take him to the interrogation room,” the ranking officer demanded, his voice harsh and intimidating. Another officer grabbed Q’s elbow and led him down the hallway, pushing him into a sparsely furnished room featuring a large, bare bulb light hanging over a well-worn wooden table and three chairs. “Sit!” the man barked, pushing on Q’s shoulder until he took a seat. The ranking officer entered the room and waited until the other one had left before he seated himself across from the table. 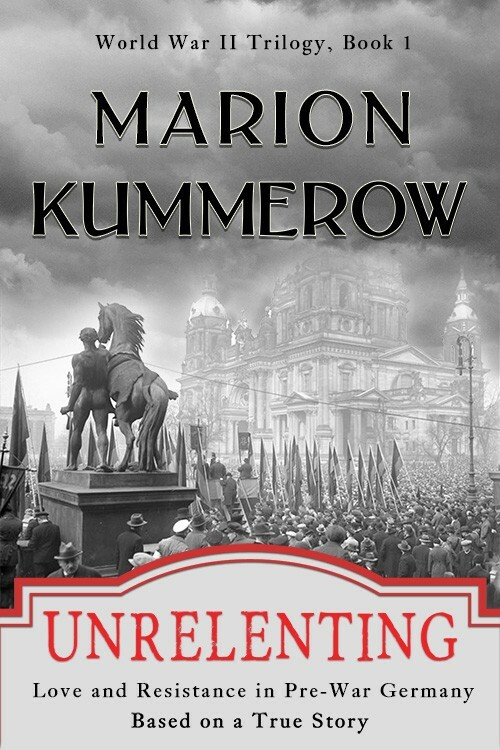 “No, Herr Oberkommissar, if you would please let me know what this is about?” Q hoped the other man didn’t hear the panic in his cracking voice.